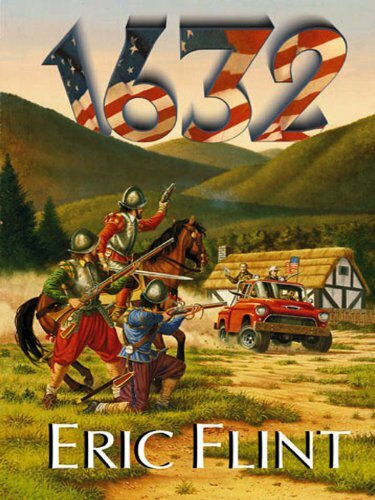 I’m a huge fan of Eric Flint’s 1632 series of books. If you’ve not yet encountered it, I suggest you check out the first book. To read a sample and buy the book, click this image. So far the series contains 40+ books and covers the years 1631-1637. It begins when a small city in Virginia in 21st Century America is accidentally sent back in time to Germany in the middle of the Thirty Years’ War. The involuntary emigrants husband their dwindling modern resources to survive. And use their ingenuity to recreate those modern resources to thrive. The success of the series inspired much fanfic. Some of it was of high quality, good enough to include in an online ebook press called Grantville Gazette. This publishes an anthology every three months and pays writers trade publication rates. I too committed fanfic: a novella in the 1632 universe titled Athena’s Journey. News of the city from the future would inevitable reach every part of the world. Including West Africa and the port city of El Mina. Among other ears they reach those of Athena Sarah Mawusi Akwete Ocampo, the three-quarters-white one-quarter-black daughter of a Portuguese merchant. Athena grew up impatient with the European role her father wanted for her and became a legendary warrior. First doubting the stories she hears of the city from the future she comes to half-believe them. And sets out to discover the truth.